If you want an attractive ride that your visitors are sure to love, then the observation wheel is the perfect choice. 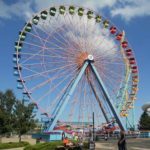 In this article, we`re going to examine why the observation wheel has been such a hallmark of successful amusement parks for generations, and why their enduring popularity is showing no signs of going anywhere. So let`s get started. 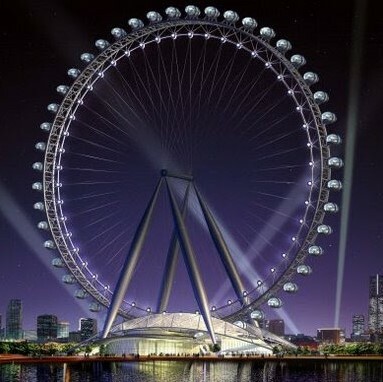 To begin with, the observation wheel is perhaps one of the most attractive rides your passengers could ever experience. Not only are many of them visually stunning (and can easily pass as works of art all by themselves! ), but they often feature dramatic and striking color schemes that really draw the eye. 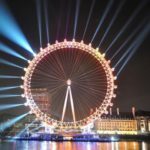 Some of the largest observation wheels in the world, such as the Singapore flyer or the London Eye are considered to be works of art by artists and architects alike, and while your own observation wheel isn`t going to be on that scale, there`s no reason why a smaller observation wheel can`t be just as visually stunning. 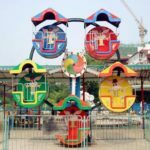 However, in addition to the intrinsic beauty of the observational wheel, there`s another reason why they can be so attractive to their passengers – and that`s the view. 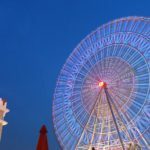 With many observation wheels giving you fantastic, panoramic views of the surrounding location – don`t be surprised if many people love the observation wheel due to the incredible view it gives them. Many of the best wheels are barely considered heme park rides?due to the slower speed of rotation they employ. Instead, they allow you to observe the surrounding environment in a way that isn`t possible via any other method. 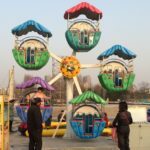 Interestingly, the terms bservation wheel?and ferris wheel?are largely interchangeable, although many people equate the observation wheel as the slower kind, which is more focused on providing the panoramic views rather than exerting the sensation of g-force on the body. 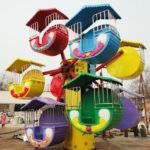 However, when the speed is increased on a smaller ferris wheel, there`s no denying the pleasurable ride?sensation it provides – which is especially loved by younger children who aren`t yet ready for the more advanced rides that are intended for older passengers. 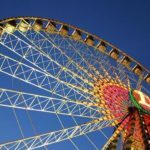 Overall, the observation wheel is one of the most popular and long enduring rides to ever exist. Since 1893, when the first ferris wheel was created, they have been loved by the young and old alike. 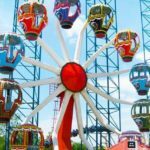 So if you`re an amusement park owner who`s looking to add to your collection of amusements and attractions, you can`t go wrong by choosing the observation wheel as your next purchase.